Opened a little over a year in NOHO (right near SOHO) in Manhattan, Mocha Burger is expanding in the city, opening its second restaurant, this one on the Upper East Side. The UES location will be known as Mocha Burger + Subs Express with a slightly altered menu and smaller than the original location. This smaller space is replacing a Pita Grill, of which a number have recently become kosher around the city including in Midtown and the UWS. 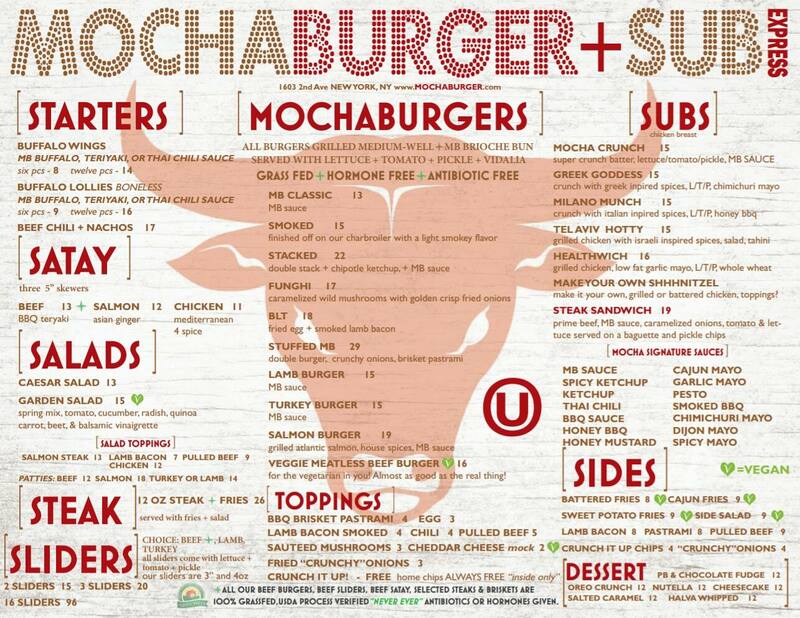 Mocha Burger’s menu indicates that its meats are 100% antibiotic + hormone free. Menu items include a wide array of burger options on a brioche or handmade pretzel rolls, schnitzels (subs), satay skewers, salads, and more. There are vegan items on the menu as well, for those non-carnivores who get dragged in with their friends. My 2 favorite items from their menu are the BLT Burger (with a fried egg and smoked lamb bacon) and the PB & Chocolate fudge dessert. Enjoy! The restaurant’s hours are from Sun – Thursday 11:00am – midnight; Friday 11:00am – 5:00pm; Saturday night: one hour after sundown till 2am. 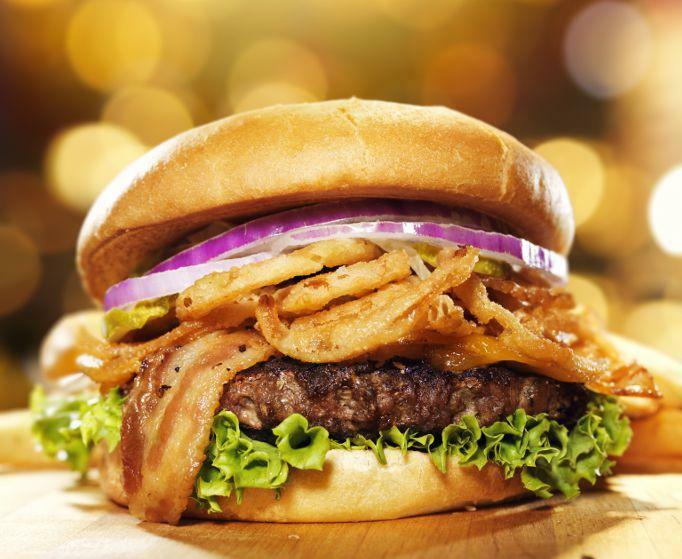 Kosher supervision for Mocha Burger is under the OU.